When you start with a new medium, you have a lot of questions. In this article, I try to answer the main questions that someone starting painting with acrylics might have. 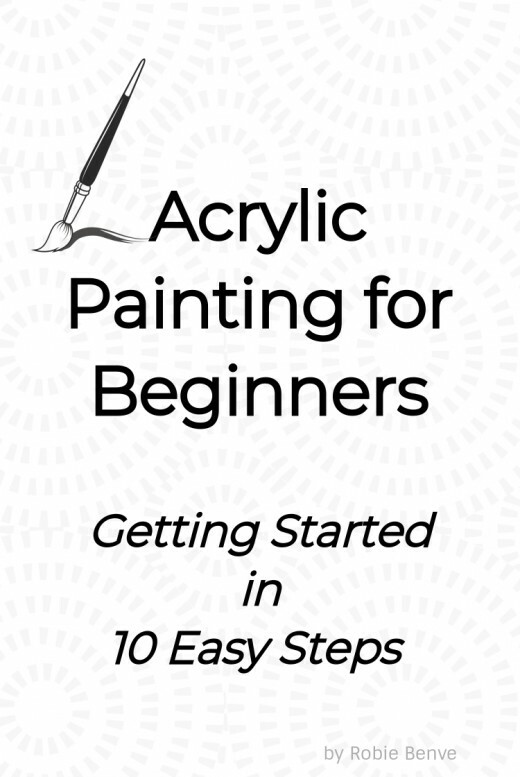 The answers include tips I wish someone would have given me when I first started painting. It would have saved me so much frustration, some time, and some money too. I hope you find this useful! What Kind of Acrylic Paint Should I Buy? Acrylics come in different size containers, different thickness, and of course, different brands. The good news is that they are all mixable. You can find student quality or artist quality, the latter is more expensive and gives a higher performance in terms of color and final results. Get the best paint that you can afford. 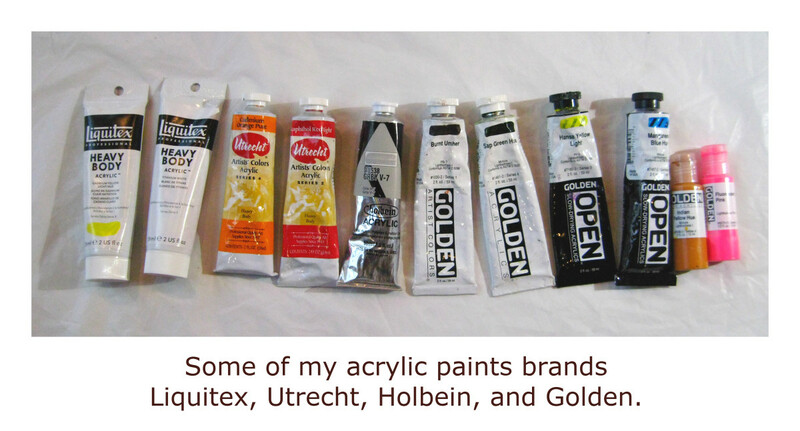 I advise buying paint of well-known brands, such as Golden, Liquitex, or Utrecht. 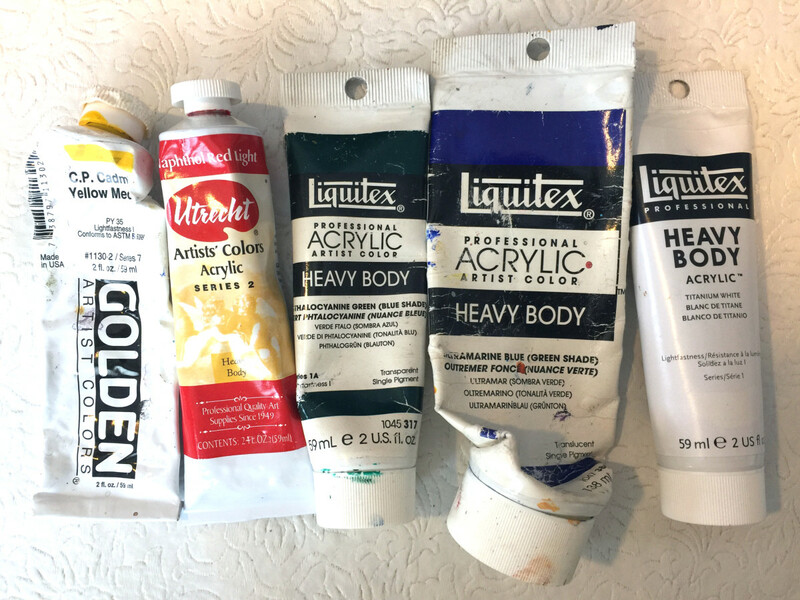 I especially like using heavy body acrylics for their buttery consistency, which is somehow similar to oil paint. Each brand develops slightly different hues, so you can buy the colors you like/need from different makers. Buy acrylic paint from well-known brands. Look for artist quality, not student quality. By selecting professional-grade acrylics, you'll get paint with more pigment for your investment and a greater ability to alter your paint characteristics using gels and mediums. What Paint Colors Do I Need? To get started, you don’t need to buy a lot of colors. With a little practice, you can mix any color you need starting from a few select colors. 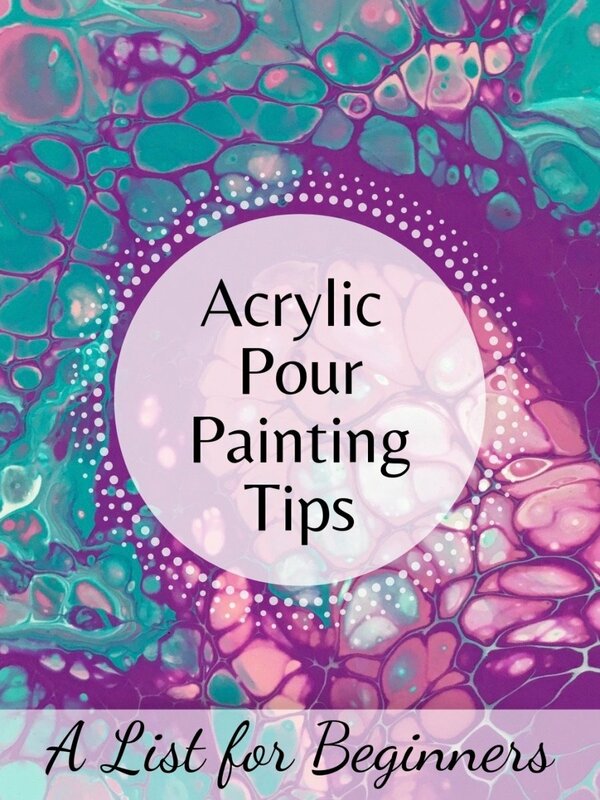 To save some money, you can opt to purchase an acrylic paint set of the basic colors, that usually contains cadmium yellow, naphthol crimson, pthalo green, ultramarine blue and titanium white. With some trial and error, you can learn how to mix all the color you need from such a small palette. I like to add Burnt Umber, which is a nice dark, and mixed with Ultramarine Blue gives a beautiful, chromatic black. Get also a color wheel, which is a great tool to help you mix colors. If you find that you mix the same color over and over, you can add that color tube to the initial set. Paint brushes come in many types and sizes. They can be very cheap or quite expensive. Synthetic brushes, usually cheaper than natural ones, are great for acrylics. The best sizes and shapes are going to depend on your painting style. However, you can start with three or four sizes of filbert brushes—flat with a rounded point— which can be used to obtain different kinds of brushstrokes. 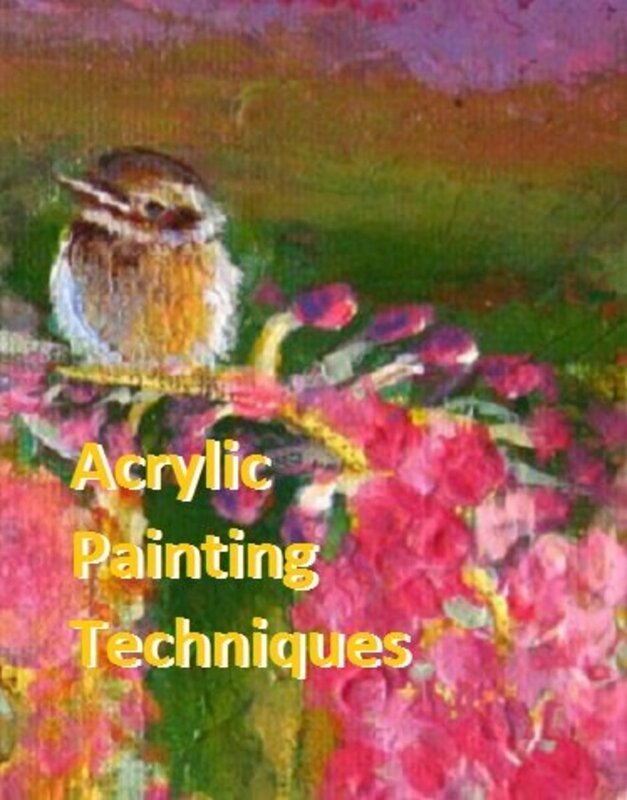 Learn about basic brushstroke types so you are equipped to paint! To start, I suggest synthetic sable filberts, approximately 1”, ½”, and ¼”, and a thin detail brush. Beware of very cheap brushes. Their bristles are not as flexible, and your brushstrokes will suffer from that. They also tend to shed on your painting. After a few uses, the bristles spread out instead of keeping their shape, making it very difficult to paint. I recently bought a brush set from D'Artesan Shoppe and I was a little worried that they would be cheap quality, but I ended up loving the set. It has a great assortment of brushes and it's a surprisingly good quality for the price. To keep your brushes in good condition, make sure you clean them thoroughly with soapy water after each painting session, rinsing them well, and laying them flat to dry. Never let acrylic paint dry on brushes—it can irremediably ruin your brushes. For more detailed advice, you may want to read my guide to choosing the best paint brushes. On What Can I Paint? With acrylics, you can paint on a vast array of supports, as long as the paint sticks after dry—test if you're not sure. The typical art supports are stretched canvas, canvas boards, wood panels and paper. If you buy pre-made canvas, double check that it’s primed for acrylic painting. Oil primed will not work. Also, you can not paint with acrylics on top of oil paint. Do you like color mixing, or would you rather have a tube of the right color you need? I get out all the tubes of color I can, to minimize the mixing. I love mixing my colors from a limited palette. Where Should I Mix Colors? You’ll need a palette on which you mix your paint. This can be made of wood, plastic or paper. Non-porous surfaces are highly preferable. Disposable paper palettes are a good solution for easy clean-up. A grey or neutral color palette helps with accurate color mixing, but white is fine. A smooth paper plate can be used as a disposable palette. Since acrylic paint dries quickly, only squeeze out small amounts at a time. Keep the paint moist spraying water on it with a spray bottle. Do I Need to Prop My Canvas Up? You should paint with the support facing you, pretty much perpendicular to your line of sight—not horizontal. This helps with perspective and proportions while also reducing spills and dust deposits. Tabletop easels are a great option. If you like to stand up, you may opt for a standing easel. Do I Need Water to Paint With Acrylics? Acrylic paint is water-based, and it’s important to have plenty of water handy at all times. Use the water to rinse the brushes and to thin the paint. A small about of water also keeps paint from drying too fast. 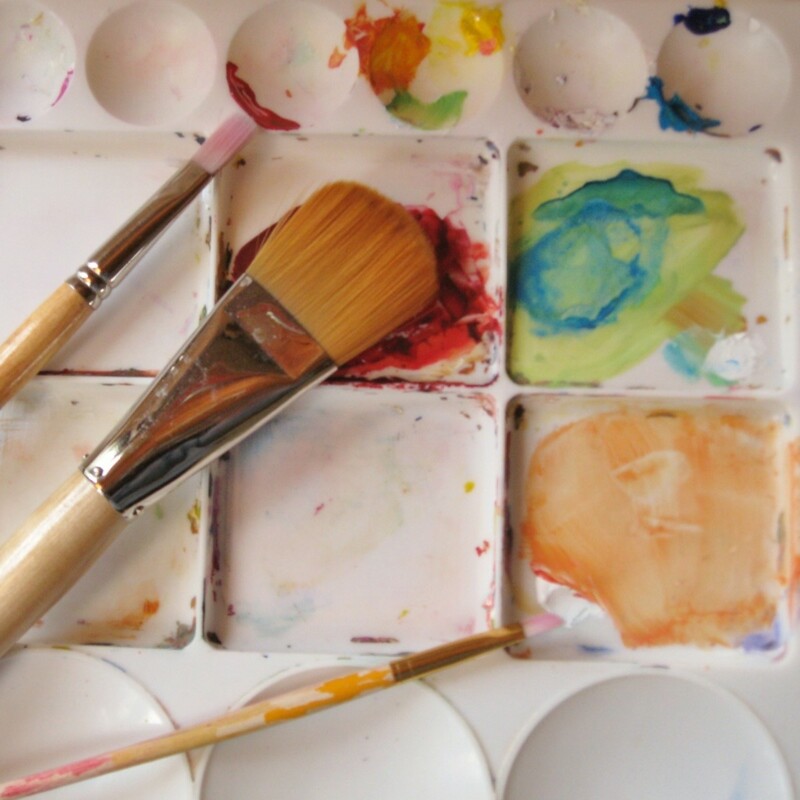 Change the water often or have two containers: a clean one for diluting paint and one for rinsing the brushes. Don't let acrylic paint dry on brushes. Rinse them well in between colors, and blot excess water on a paper towel or an old rag. Keep paper towels handy to remove mistakes on the canvas while they are still wet. Learn how to clean brushes, palettes, and dry paint on clothes to prepare for any mishaps. Do I Need to Buy Acrylic Medium? 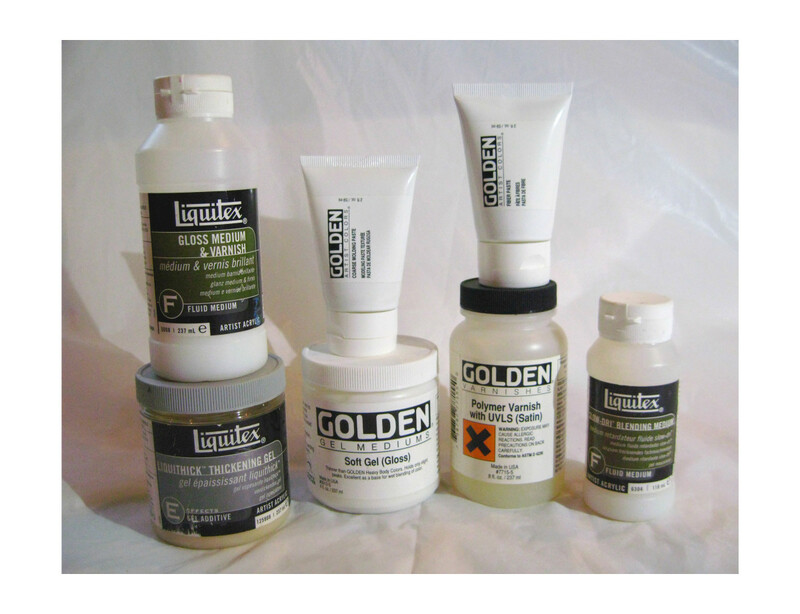 To improve the paint performance, different kinds of acrylic mediums are available. I suggest you start getting familiar with the acrylic paint before you buy any mediums because it depends on what you feel you’d like to improve. You can improve the flow by simply adding water to the paint, but this reduces a little of the color intensity. 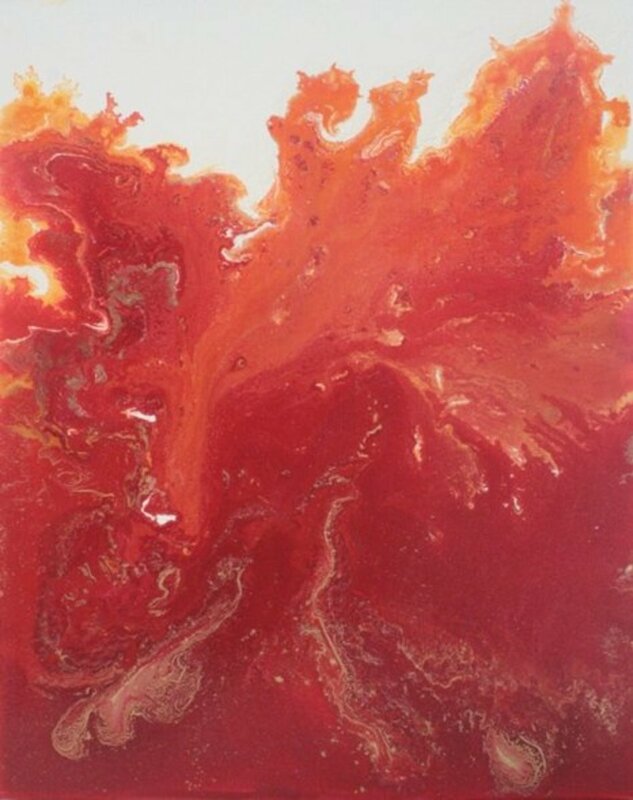 A fun way to get familiar with acrylics and discover what medium you may enjoy is to experiment with creative painting techniques. How Should I Dress for Painting With Acrylics? Wear comfortable clothes that you are not afraid of staining. Otherwise, protect more precious ones with an apron. Acrylic paint is pretty hard to wash off. If acrylic paint gets on your clothes, you need to wash the stain immediately while it’s still wet. Use soapy water, rub the paint well, and rinse the clothing item thoroughly. My biggest problem as a beginner was that I did not understand how using low-quality supplies makes the painting process much more difficult—to the point of frustration. I bought cheap supplies thinking of saving money, but in hindsight, I wish I had invested some extra money at the beginning. Most Importantly: Enjoy What You Do! Do I paint directly on the canvas without putting anything on it? With acrylics, you can paint on pretty much every surface, as long as it's not oily. You can paint on canvas with no prep work or sealer, but I would not recommend it. 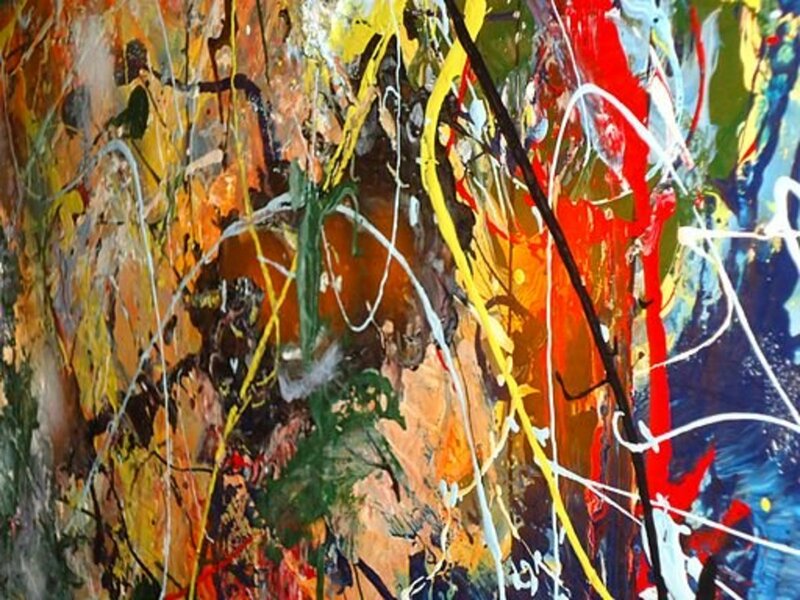 The raw canvas absorbs a lot of the paint, making your job very hard. The best option is to buy canvas that has already been base-coated with gesso. You can also buy some gesso and coat any canvas or board that you want to paint on. In this case, follow the directions on the container. What kind of medium should I use for better painting with acrylic colors? I suggest you start getting familiar with the acrylic paint before you buy any mediums because it depends on what you feel you’d like to improve. You can improve the flow by simply adding water to the paint, though this reduces a little of the color intensity. 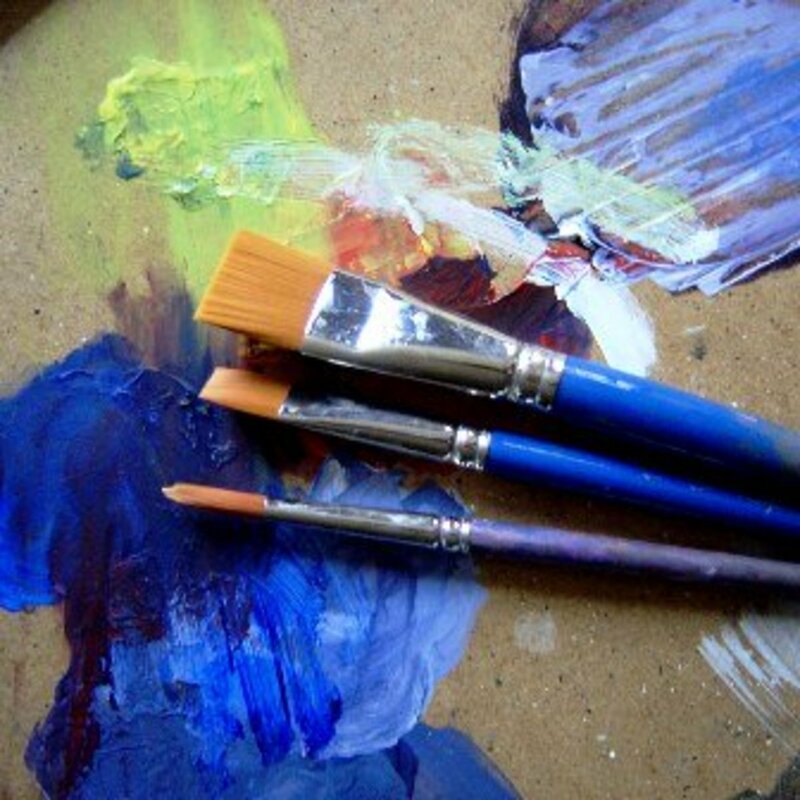 What kind of paper should you use for acrylic paints? You can paint with acrylics on any kind of paper. However, thicker and less absorbent paper seems to work best. Multimedia paper, for example, works nicely for acrylic paint. Canvas paper is also great. If something used after painting with acrylics for glow and smoothness? I like to apply varnish after the paint is completely dry. Varnish makes the surface homogeneous and creates an even look, which could be shiny or glossy, depending on the kind you use. Glossy varnish gives some kind of a glow and smoothness to the painting. How can l remove starch from an acrylic paint bottle? If the starch is on the outside of the paint bottle, just wash it with soap and water, that should do it. If the starch is mixed in with the paint, then you may not be able to remove it. What kind of acrylic paint would be considered "low-quality"? A random acrylic from the craft store? To see the quality of the paint, look at the label on the container. If it says "craft acrylic paint" it's usually low quality. The high quality paint usually says "artist" somewhere on the label. If it says great for students and beginners it's usually lower quality, but it may still be ok. It's up to you, where you are in your carrier, and what kind of work you do. You choose what works for you at any particular time. Just be aware that the pigmentation of the paint is much higher in the artist paint. Which means lower quality paints can make your job a little harder. Is there a foundation that needs to be used to prepare the canvas for painting? If you buy a stretched canvas from a store, it's usually ready to go. If you are painting on a generic canvas or fabric, acrylic gesso is the recommended foundation. I'm a beginner painter and it’s a little overwhelming to decide if I should buy a beginners painting kit or buy items separately. Do you have a recommendation? You are right, it's very hard to decide. To be honest with you, I started with a beginners kit. 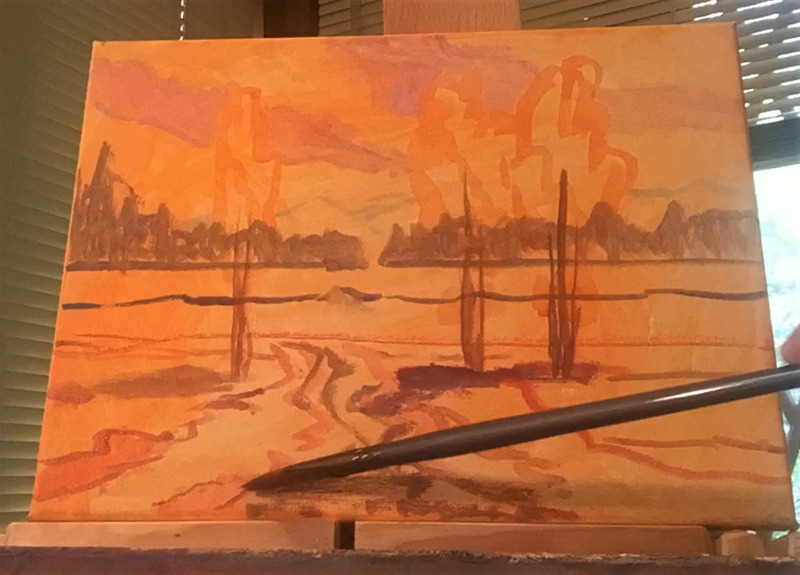 I bought an easel that inside had a set of acrylic paints and a set of oils, a palette and a couple of brushes. I used them for a while, but the quality of the paint was not very good. I realized that later, when I bought single tubes of better quality paint, and the way the colors mixed and layered made painting easier. I think the reason for that is that the beginner set had less pigment in the paint, and colors where less strong, more transparent. The easel served me very well, but If I had to start now, I would probably buy a set of artist quality paints and go from there. Way to go Nora, nothing better than a fun event to inspire you to create! Wishing you lots of hours of happy painting. 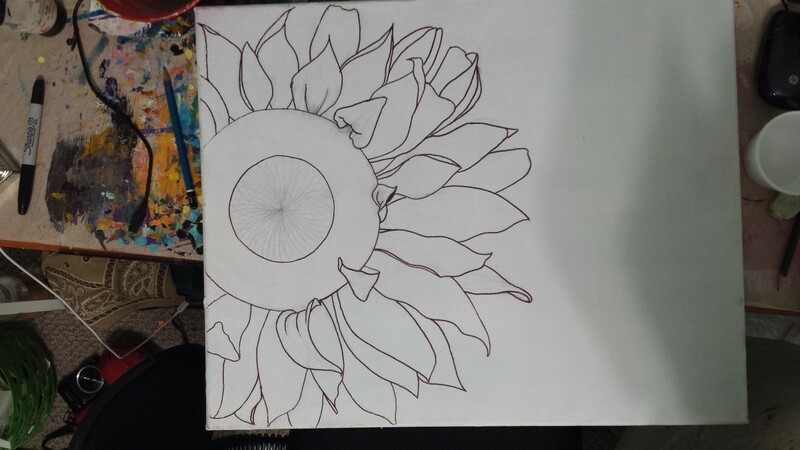 I attended a wine and canvas night with my daughter and loved it! Now I want to start painting regularly and your article has been very useful, thanks. You said it, Auntieartist, you just need to start. :) Jump in and put some paint down, create shapes and forms that please your eye, and go from there. At the beginning it's helpful to get inspiration from famous paintings, trying to replicate their structure, does not have to be exactly the same image, but the composition is usually what makes a painting great. Good luck to you, and happy panting! How can someone who can't draw paint? There must be techniques to use? I have acrylics, brushes, small easel ... just need to start. I'm afraid acrylic paint would peel off the glasses when you wash them. I would use paint made specifically for glass. Can I use Acrylic paint on glass wine glasses? 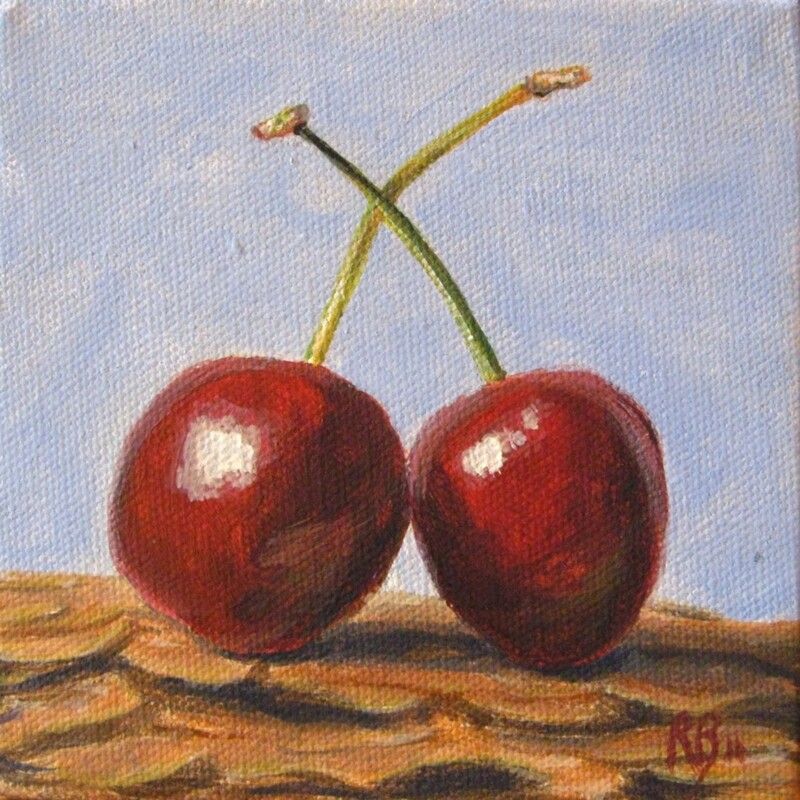 I am 65 years old and can not even draw a stick person however, I am excited about learning how to paint with acrylics. I have always wanted to learn and I feel deep inside myself that I have a hidden talent for painting. My mother had on a 9th grade education and had never taken an art course and yet see could draw anything see saw. She was an amazing artists. I saw you had taught yourself to paint so as a retired teacher I believe that you would qualify as a great teacher to teacher us new beginners. Thanks for your tips on getting started. I have been hesitating for a long time but your 10 tips have given me a push. Oh! nice the paintings by acrylic colours! And have a holiday with them. Hi Dale, it may seem like we forget sometimes, but painting is like riding a bike: skills comes back as soon as you try again. Get those brushes out in between grandchildren time, and start doodling. You'll see. :) Happy painting! I was asked why I don't paint, did I forget how. I think I did. Love those grand kids. Time to start. Great tip ItayaLightbourne! In my studio I have linoleum floors and I thought the acrylic paint would peel off easily, but it does not. I learned that you can't prevent accidents, like a brush taking flight with no warning, a canvas falling face down, the water jar tipping over, so many chances for stained floors! I don't mind my studio floor to be stained, but a floor covering is a very wise way to go. Thanks! 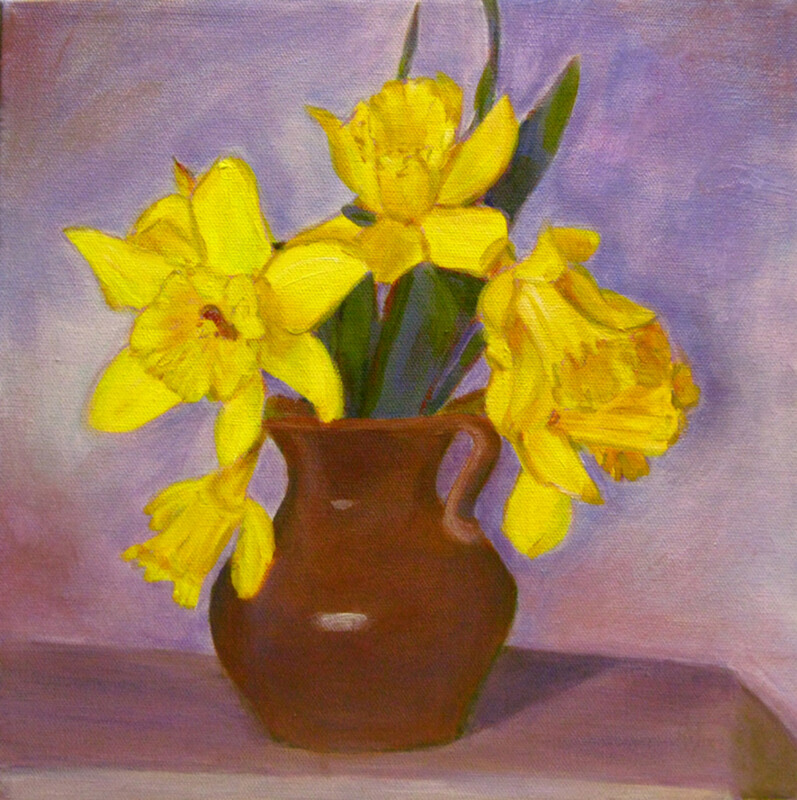 Just going through your art hubs..Always something new to learn..
Hi hollyshort, welcome to hubpages! Georgina suggestion to prop up a drawing board with books would work. I also have a table-top easel that is very inexpensive, I think I paid about $9 for it, and serves the purpose well for small-medium canvases. I rest my drawing board on a pile of books placed on the table - it gives enough of an angle to work with, but I'll bet Robie has a few tricks too. I can't afford a painting easel at this point in time. What would be a good replacement? I really enjoyed your step by step article. It almost tempted me away from my pastels......almost! Rating up. How wonderful Longhunter, it's always exciting trying something new! I'm glad reading my hub gave you some extra motivation to try acrylics. Have fun and happy painting! 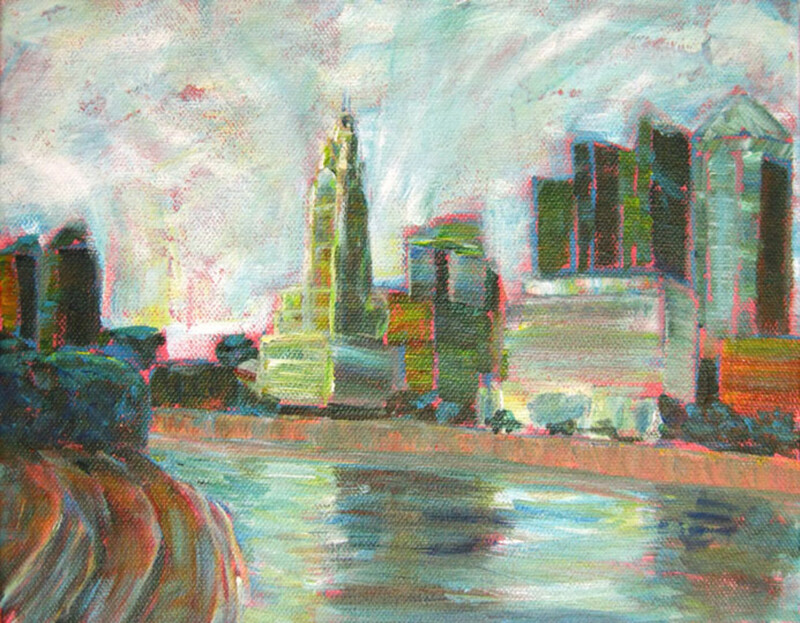 Robie, I've been drawing in pencil and color pencil as well as painting in watercolors commercially for 35 years but never tried acrylic paints. After reading your hub, I'm going to try to illustrate my new children book using acrylics. Thanks, i am just now getting into painting and this was very helpful! Nice guideline to hold on to for my grandchildren--thanks!